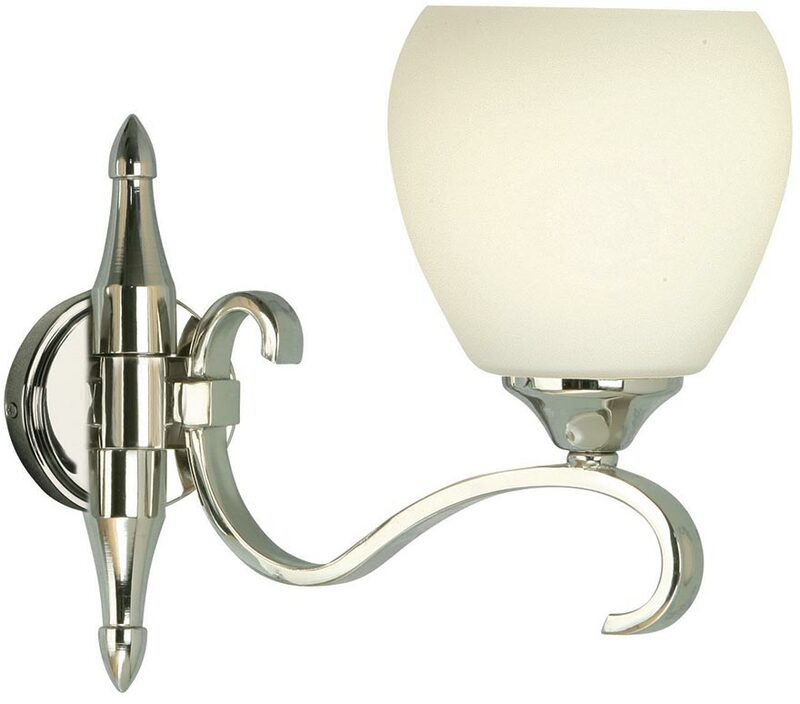 Traditional polished nickel single wall light with elegant curved arm detail, complemented by a beautiful opal white glass bowl shade. This beautiful 1-lamp wall light will adjust to give you an upward or downward facing arm, supplied with an opal white art glass shade. A beautiful traditional feature single wall light complete with an opal glass bowl shade. From the Columbia traditional polished nickel lighting collection, designed and manufactured by Interiors 1900.